You'll find a variety of options for connecting your iPad, iPhone or iPod touch to your HDTV, so you can view high-quality videos and images from your Apple device on a large screen. Using an HDMI A/V adapter allows you to connect iOS 4.0 or later Apple devices that use a 30-pin connector. 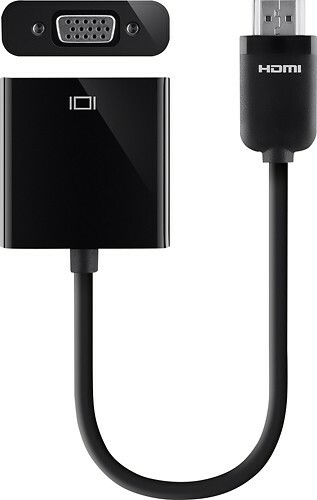 First, plug in a digital A/V adapter to your iPad, iPhone or iPod touch. Then, attach an HDMI cable to the other end of the A/V adapter. Plug in the other end of the HDMI cable to your HDTV and make sure the input on your TV is set to HDMI. This simple wireless option allows you to mirror content with Apple devices running iOS 4.3 or later. Mirroring displays your Apple device screen on your Apple TV. Turn on AirPlay via the Settings on your Apple TV. Ensure your Apple TV and iPhone, iPad or iPod touch are on the same Wi-Fi network. Swipe up on your Apple device to access the Control Center and choose AirPlay, then choose Apple TV from the pop up menu. 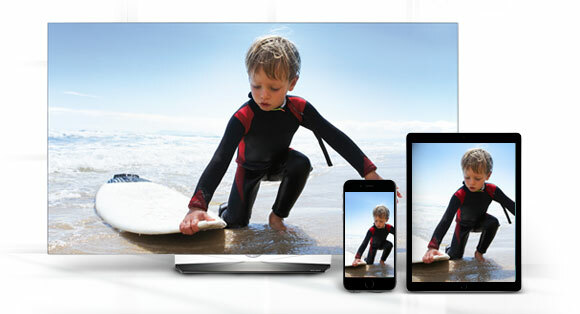 This connection allows you to view Cast-enabled apps on your TV from your iOS 6 or later iPad, iPhone or iPod touch. Install the Google Cast app onto your Apple device. Install your Chromecast device on your Apple device through the Wi-Fi settings. Ensure your Chromecast and Apple device are on the same Wi-Fi network and that the input on your TV is set to HDMI. This option allows you to connect your iPad, iPhone or iPod touch to devices with a VGA input, including TVs, computer monitors or projectors. While a VGA adapter won't transfer sound, this is a great option for presentations via projector. If you do need audio, just add external speakers or listen through the speakers on your Apple device. First, attach the VGA adapter to your iPad, iPhone, or iPod touch. Connect the other end of the VGA adapter to a VGA cable. Plug in the VGA cable to your TV, monitor or projector input. Best Buy offers a variety of accessories and streaming media players that make it easy to connect your Apple device to your TV. You'll find HDMI cables, iPad adapters and more. Now, you'll have everything you need to connect your iPad, iPhone or iPod touch to your TV. Need help troubleshooting an issue? Agents are available 24/7. You'll find Geek Squad in every Best Buy store, with more than 20,000 Agents across the country ready to assist you.